Here is the second of five anonymous interviews with healthcare professionals from a range of different demographics, to find out how they typically engage with pharma. 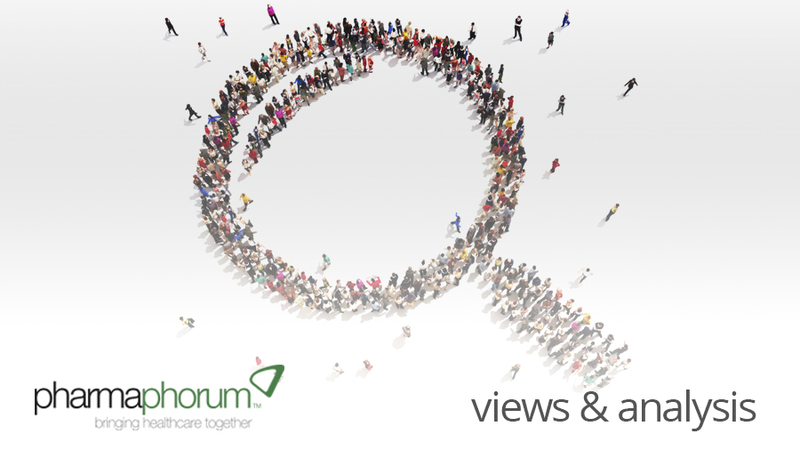 To coincide with our medical communications focus month, pharmaphorum speaks with five healthcare professionals to find out how they typically engage with pharma and their thoughts on how this could be improved in the future. The second of our doctors is a female consultant who specialises in general psychiatry. She graduated from medical education in 1992 and has since also sub-specialised in addictions, child and adolescent psychiatry, learning disabilities, psychotherapy, rehabilitation psychiatry and substance misuse psychiatry, to name a few. She will be referred to as Doctor B within this interview, to keep her anonymity. In this article, Doctor B shares her thoughts on the importance of building trust with drug representatives through face-to-face interaction. HB: How do you typically engage with pharma companies? DB: Normally I will engage face-to-face, and occasionally I will also receive information via email or online. HB: Based on your experience, can you describe a really good interaction you’ve had with pharma? DB: Well over the years you develop relationships, particularly when you interact with people face-to-face, and you get to know the person who represents the pharmaceutical company. Normally after building that relationship you have easy access, and a trusting relationship, so whenever you need any information they are keen to provide it for you, and that’s how I normally work. HB: What common characteristics define the pharma representatives with whom you typically have good interactions with? DB: I will have to say that they have to be reliable, trustworthy and honest. You also have to be able to feel that they understand your needs and your time restraints, and that they really want to look after your needs, because they realise that it’s also in their own benefit. The more you trust them, the more you are going to rely on them and the more keen you are going to be in finding out about the products that they have to offer. HB: Would you value details and data from pharma around late stage trials activity, the new drugs pipeline etc? DB: Yes, because it helps you to have some idea about how things are developing, and also it’s part of looking after you and your needs and trying to keep you updated with whatever developments there are. HB: How would you like to receive this information and through what channels? DB: I personally quite like the face-to-face interaction, because most of the time it’s based on trust, and the more you know a person the easier it is to build that trusting relationship. Because with papers, reviews, or articles in journals, we all know that they are going to try to portray the product in the best line possible. I think that because there are lots of different drugs and they all have different benefits for our patients, many times you actually make your decisions on how well you know a product. And you get to know a product through the person who is the pharmaceutical representative. So if you have a very good relationship with a drug rep then you are more likely to know more about that product, and the more you know about the product the more you are going to feel happy and confident about using that product, and the more you use it the more confident you become. And so it’s something that is the trust and the relationship with the drug rep I think is very important. HB: From a trust perspective, do you think that pharma companies supply information in a transparent way? DB: Well yes and no. I think that the pharmaceutical companies supply information, however, you can put the focus on the more advantageous things – maybe you necessarily don’t want to hide the pitfalls of any product. So it’s transparent, but obviously there is subjectivity. Sometimes the information presented is the one that is more positive about the product, and maybe the more negative information is obviously less publicised. HB: Other than drug information, what else is or could be provided by pharma companies to support your work or create better interactions? DB: One of the things that pharmaceutical companies have done is trying to support doctors attending educational meetings, and conferences, and I actually think that’s something that is important to maintain. Because in these conferences or meetings it’s not just what the speakers or the results that they may be presenting, but it’s also the interaction with other colleagues about their own experiences with different drugs, and with different patients that really gives you a lot of information about the experiences of other colleagues. And also you can then pass the information collected during your own experience on to other colleagues, and I found that has enriched my practice. HB: What one thing could pharma companies provide you with through your engagement with them that would be most useful in the future? DB: I think access to the product information – that’s one of the things that I found really helpful. Also, practical support in the way that maybe you may have considered to use a product in a particular type of patient, but you might need some extra information about safety or efficacy in that particular type of patient. And I think quick and easy access to the information from the pharmaceutical company is very important. Also, the sponsorship and the promotion of educational meetings, attendance to conferences and scientific meeting is what traditionally the pharmaceutical industry has been involved with. I think that’s also important. HB: Finally, do you think that techniques, such as tele-reach detailing, and the use of iPads and calls, add value to your knowledge and interaction with pharma? DB: In a way yes, but on another level I believe we are in such an information society that you can read articles in publications, on the internet, or you can go to the library or whatever, but at the end of the day you still need a relationship, that face-to-face interaction which is very important, because otherwise it just becomes more marketing and more publicity. The question of trust is very important. The third interview in this series can be viewed here. Doctor B is a female consultant who specialises in general psychiatry. She graduated from medical education in 1992 and has since also sub-specialised in addictions, child and adolescent psychiatry, learning disabilities, psychotherapy, rehabilitation psychiatry and substance misuse psychiatry, to name a few. This article was co-ordinated by Doctors.net.uk, the UK’s largest and most active online professional network of doctors. Available to UK GMC-registered doctors in primary and secondary care, Doctors.net.uk has over 197,000 members and is an effective digital channel and a trusted and independent source of medical education, research and communication. It is used by over 43,000 doctors every day, of which, over 10,000 are GPs. How can pharma better tailor drug information to a physician?